John Steinbeck's The Grapes of Wrath might be the story most closely associated with the Oklahoma "Dust Bowl" of the 1930s, but that doesn't mean it's the only story that can be found in that setting. 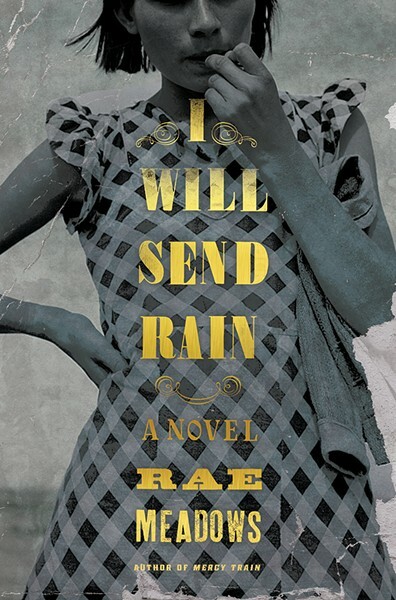 And as one-time Utah resident Rae Meadows demonstrates in her novel I Will Send Rain, a setting doesn't define a story when its themes are more generally about the way different members of the same family can respond to the same crisis. In the Oklahoma panhandle town of Mulehead circa 1934, that crisis is the drought slowly draining the people of hope. As the first dust storms begin sweeping across the plains, the members of the Bell family cling to what they can as their farm fails. Fifteen-year-old Birdie has her first love with a boy on a neighboring farm; her mother, Annie, has a flirtation with the town's mayor. And her husband, Samuel has his faith, bringing him dreams that he interprets as the coming punishment from an angry God. The future of art, as everything else, is ultimately in the hands of youth, and Artists of Utah's 35x35 celebrates local artists 35 years old and under. The fourth occurrence of this tri-annual event coincides with the nonprofit's 15th anniversary. This year's 35x35 includes an intriguing mix of newcomers and artists who have been on the local scene for a while. 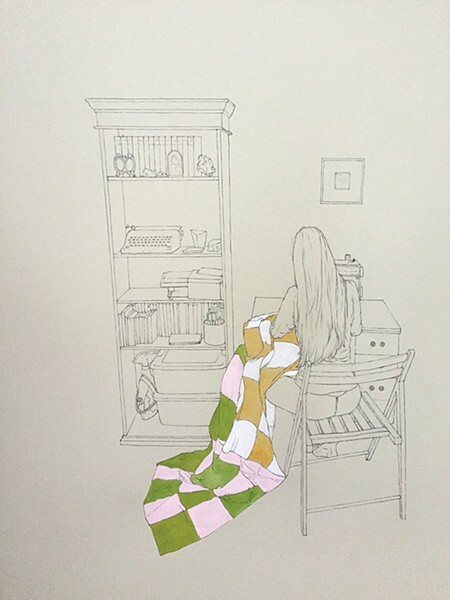 Mary Toscano has exhibited her drawings frequently, and her style—blending humor with an ardent sense of narrative in her lines ("Storyteller" is pictured)—should be familiar to local art enthusiasts, just like the works of Steven Stradley and Justin Wheatley, who both explore the urban experience. Painter Cody Chamberlain, whose art takes inspiration from desert landscapes, recalls the visions of western vagabond Everett Reuss. God Hates Robots hosted Nancy Rivera's Herbarium Obscura: Shadow of Nature earlier this year; she's also a one-time gallery manager at CUAC, and former intern at Utah Museum of Contemporary Art and Utah Museum of Fine Arts. Newcomers include recent Utah State University graduate Sommer Baisch, who casts a critical eye on roles of women in society, and photographer Jamie Kyle, whose MFA exhibit at the University of Utah was held last year. The artistic sensibilities of this cadre of artists are enormously diverse, offering an encouraging picture for the future of local art. 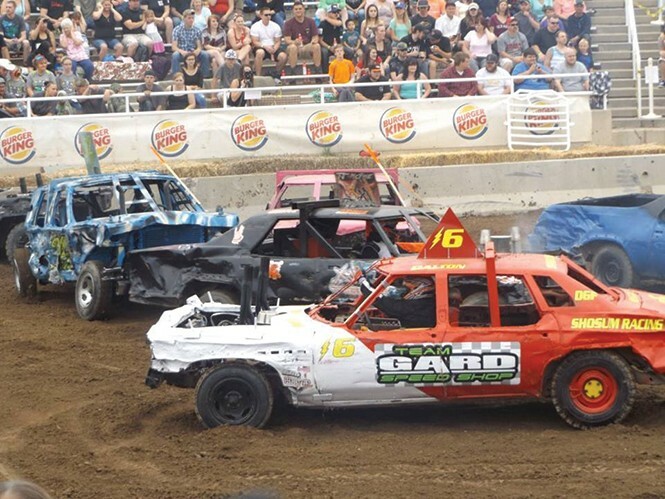 The tail end of fall means the beginning of fair season—and the 80th annual Salt Lake County Fair offers plenty of events, activities, food and fun. Competitive exhibits and blue-ribbon competitions make this event a great place for folks to showcase their magnificent livestock, as well as products and talents. Come hungry and enjoy more than 15 varieties of foods, in addition to the good ol' fair foods like funnel cakes, corn dogs and fried Oreos. While you're eating your hand-held favorites, visit more than 60 different vendors selling their wares. When you're a regular cast member on a popular TV sitcom, you've probably hit the lottery in terms of being recognized for the rest of your life. 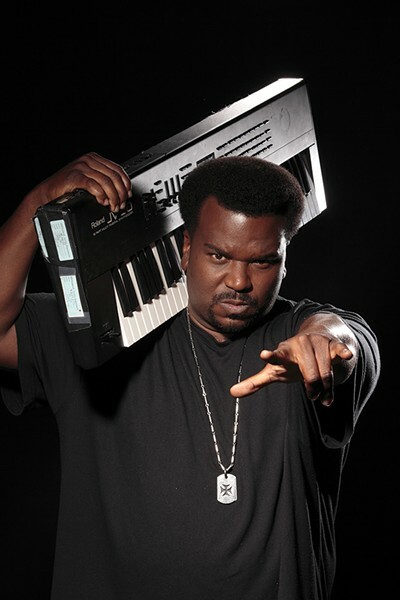 But while Craig Robinson might have become a household name as a result of his role as warehouse foreman Darryl Philbin on The Office, he clearly hasn't left behind his beginnings performing stand-up in his hometown of Chicago. Not that screen gigs—of both the big and small variety—don't continue to keep Robinson in the public eye. On television, he graduated from The Office to headlining his own short-lived NBC sitcom Mr. Robinson in 2015. And while he might be best-known in movies for his roles in ensemble comedies like Hot Tub Time Machine and This Is the End, he has also show the ability to stretch his acting muscles in dramatic parts, including his acclaimed supporting role as an expatriate single parent in the 2016 Sundance drama Morris from America (opening locally on Aug. 26).